Podgorica, (MINA) – Montenegro belongs in the European Union and its success on that path is certain if the country continues to make progress, German Foreign Minister Haiko Maas has stated. 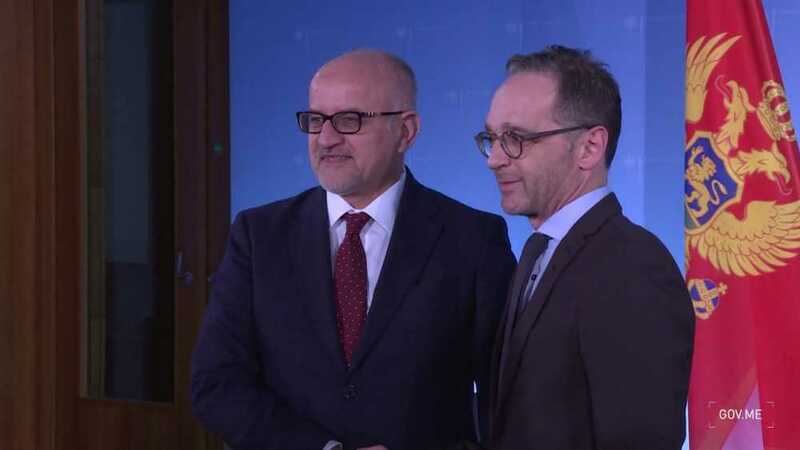 Montenegrin Foreign Minister Srdjan Darmanovic is paying a working visit to Germany, at the invitation of his German counterpart. Foreign Minister Maas has said that Germany will continue to fully support Montenegro’s reform processes and its integration into the EU. “You belong in the EU and if you continue like this, your success on this journey is certain,” Maas said, as quoted by the Montenegrin MFA. Reportedly, he said that Germany firmly supports the European perspective of the region, while underlining the importance of the EU’s open-door policy for strengthening the stability of Europe as a whole. “The Western Balkans is integral part of Europe and in that respect Germany’s support is clear and very strong,” Maas said. Darmanovic stressed that Montenegro values in particular Germany’s political and expert support in the key areas, including the rule of law, fight against organized crime and corruption, judicial reform, media freedom and strengthening of the security and defense sector.